If online classes are not your thing, I also offer in-person workshops for all of my existing workshops or I can customize a workshop specific to your needs. All workshops are designed to elevate art techniques, focus on self-discovery, build confidence, help bond and build team collaboration, enhance sensibilities, develop better problem-solving skills, create stress-relief tactics and/or unleash creative strategies for one to one, groups or corporations. Inquire if you don’t see what you need. Held in Los Angeles, or anywhere in the world! In this fast-paced, over-scheduled and technology driven world, creativity is more important than ever! Here is a workshop that helps you to exercise that muscle and create abstract art that is uniquely and beautifully your own! It doesn’t matter if you are a stick and figure artist or someone established but looking to add some new techniques to your art practice. I take you on a creative journey that will help you move past any blocks standing in your way and tap into that right brain way of thinking to produce stellar results. Depending on whether you are an individual or group will determine the cost and number of paintings you create. Inquire at jan@janmccarthy.com to determine what workshop will work best for you. One on one, $400, Includes pre-consult over the phone or email, 3-4 hour workshop, creative exercises, painting (4) 4” x 4”, or (2) 12” x 12”, or (1) 36” x 36” canvas. Includes hors d'oeuvres and champagne (or something similar). You bring your own blank canvas within the parameters suggested, all other supplies provided. Group up to 8 people, $400 (unless custom designed), pre-consult over the phone or email, 3 hour workshop, creative exercises, painting (1 each) 12” x 12” canvas. Includes hors d'oeuvres and champagne (or something similar). All necessary supplies provided. Life is a blank canvas, but if you are trying to figure out your “real” or next identity, stuck in a rut or bombarded with a million ideas fighting for space in your head, it’s hard to see the big picture. (Errr, canvas) And quotes like “Life is a blank canvas” or “The world is your oyster” are intimidating and difficult to comprehend, let alone helpful in getting a proper perspective about your life! You need a way to gain clarity, focus big-picture thinking and direction! Artistic Thinking creates big breakthroughs, giving you a new way to look at your blank life canvas and have the confidence to go forward with your vision. I will help you figure out what truly speaks to your heart, talent and passion and then help you develop a plan to get on your path to success. One on one, $400, Includes pre-consult over the phone or email, 3-4 hour workshop, creative exercises, supplies and hors d'oeuvres and champagne or something similar. Yep, I believe in celebrating major life milestones! Creativity is the new yoga! It really does all the things and has all the feels. It is one of the best skills you can have regardless if you are an entrepreneur, student, CEO, artist, visionary, business professional, going through a transition, mom, dad, or friend. 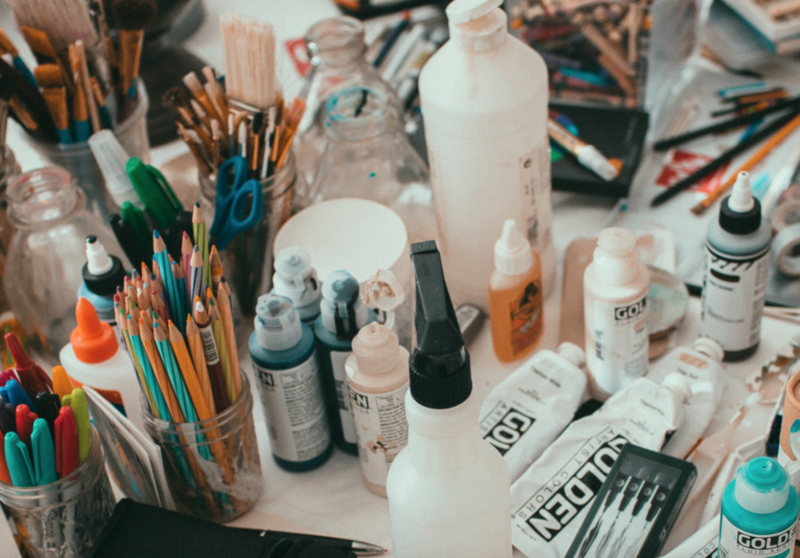 We are all creative, but like anything, if you don’t exercise this [muscle] and keep this skill functioning, you can lose that part of yourself and it can become quite rusty. Creativity boosts inspiration, experimentation, risk-taking, problem solving, and innovation. Need I say more? The “Creativity Unplugged” Artistic Thinking Workshop is a little different than the “Life Is A Blank Canvas” in that we work together as a group and each person in the group will learn new practices that will unleash their greatest creativity! Having these skills will help in every single thing you do in life. Group up to 8 people, $400 (unless custom designed), pre-consult over the phone or email, 3 hour workshop, creative exercises, hors d'oeuvres and champagne (or something similar). All necessary supplies provided. 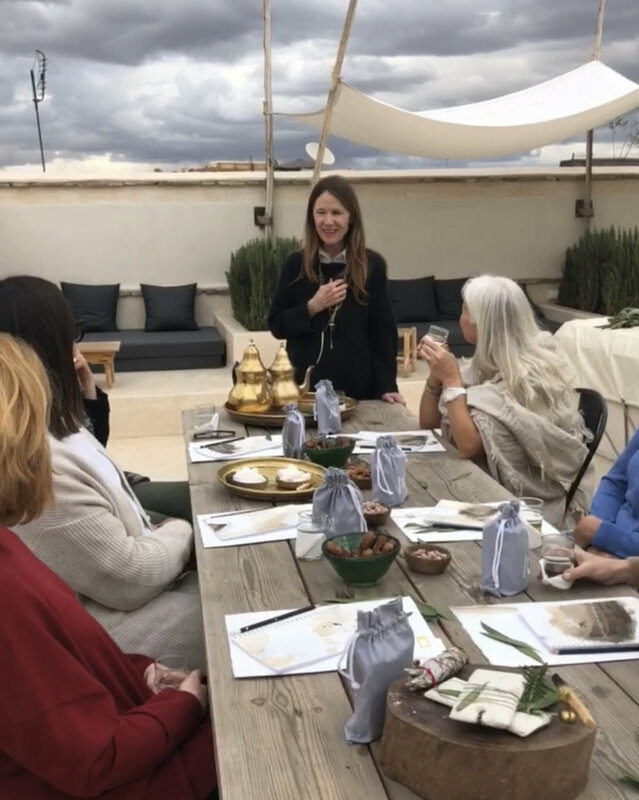 Although I do Creative Retreats and Events solo, I also love collaborating, co-hosting and partnering with the right person/ group to bring about a comprehensive retreat/ escape/ event/gathering to enhance life experiences and skills. Contact me jan@janmccarthy.com to strategize and brainstorm a collaborative experience. Events - Join mailing list below to find out more.